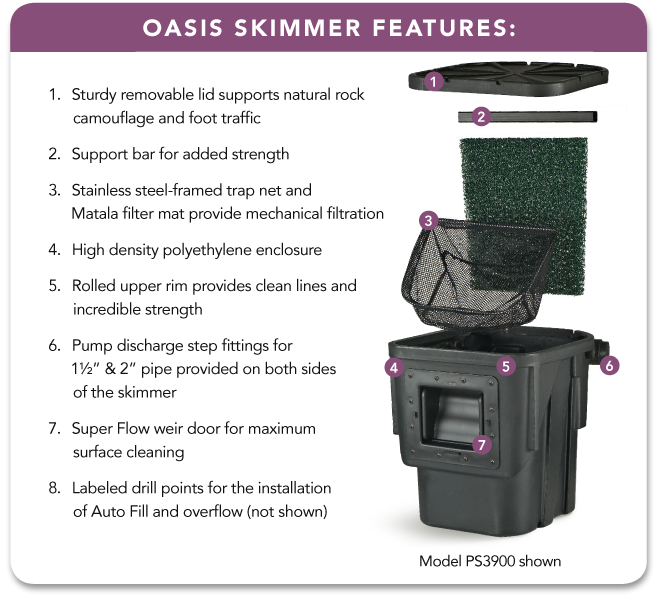 Atlantic Water Garden's Pond Skimmers offer just what you need for all of your pond projects. 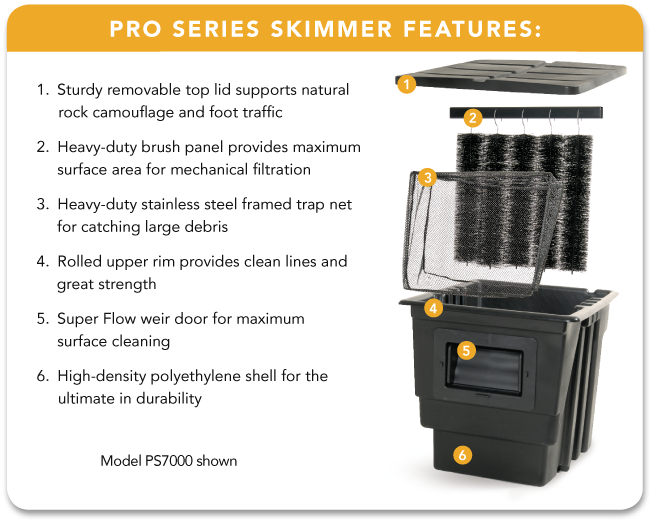 With ample pre-filtration options, auto fill capacity, complete freedom in plumbing location, multiple pump capability and remarkable strength and rigidity, these versatile components allow for every style and preference! Compare features, click the feature images to view larger.